The antibacterial tank coating, Hako AntiBac®, for the recovery and solution tank provides considerably better hygienic conditions in the tank and on the surfaces cleaned as well as ensuring a reduction in the consumption of disinfectants by cleaning the tank. Hako Aquaforce® is a space saving, stationary system for cleaning without chemicals. It removes all minerals from tap water. The demineralised water can loosen dirt better and reduces the risks of resoiling - for lower operating costs and less environmental pollution. By adding the optional Hako Chemical on Demand feature, cleaning agents are dispensed at a predetermined dilution rate at the brushes when they are actually needed. The CHemical on Demand feature eliminates any manual handling by operator of detergent dispensing into the tank. 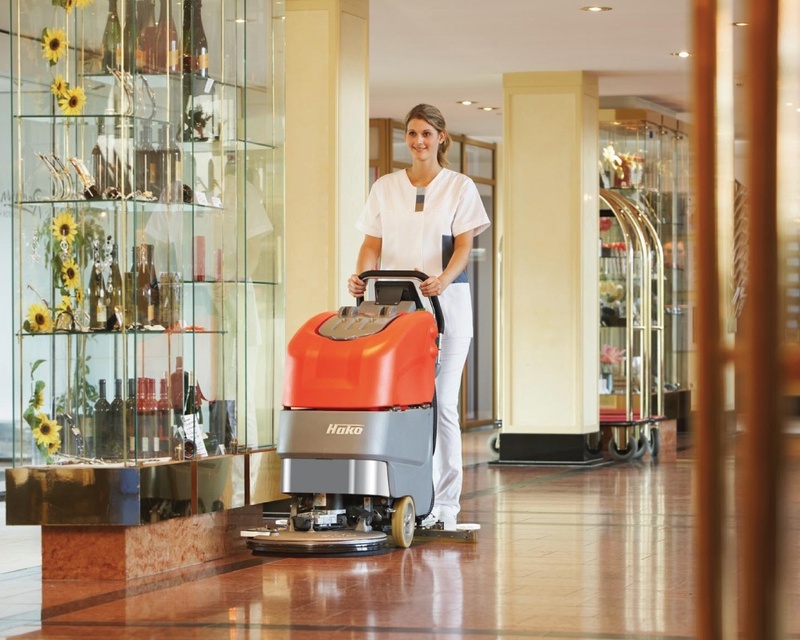 In the case of low level soiling on the floor, in most cases these simply swithc off the dosing systen and clean wiht just fresh water can be completed economically without any need for cleaning agents. Hako’s Integrated Environmental Cleaning (IEC) System, comprises of Hako Anti-bacterial tanks (certified to ISO22196) increasing hygiene and safety standards, daytime cleaning technology reducing evening energy consumption, certified and patented aqua control. 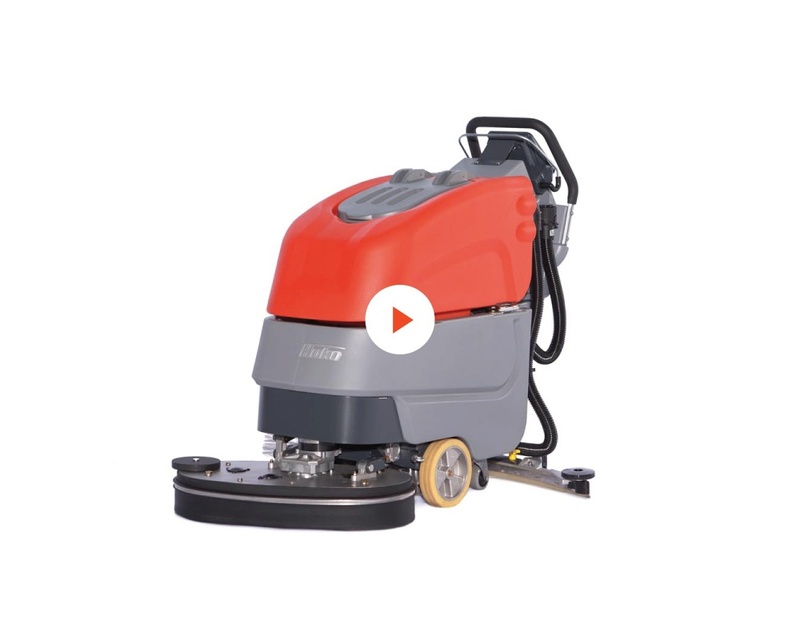 Scrubmaster B45 walk behind scrubber now comes with a large disc scrubbing head with a working width of 65 cm and combines with the maneuverability of the existing Scrubmaster B45 for the efficient cleaning of larger areas. It delivers big machine productivity in a compact machine. 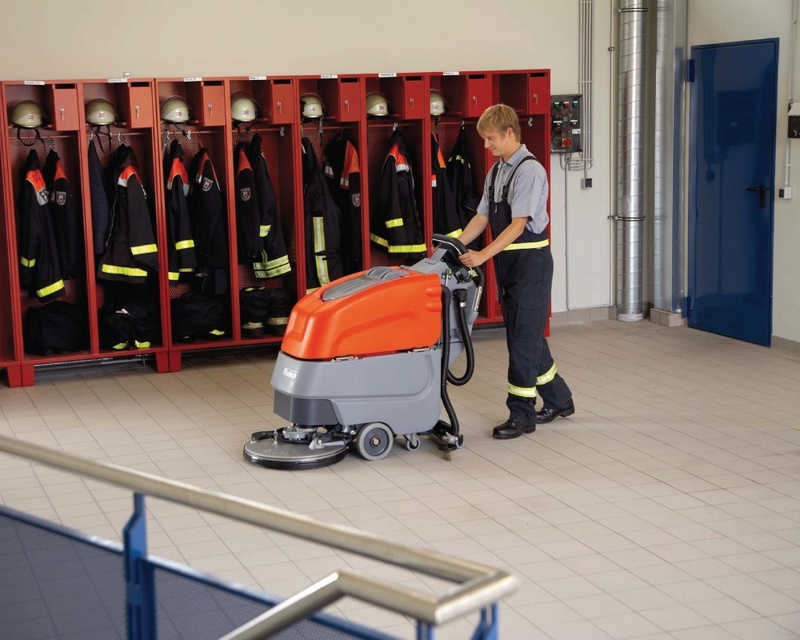 In daily use, the new Scrubmaster B45 65cm scores highly as a result of its particularly high level of operator comfort. 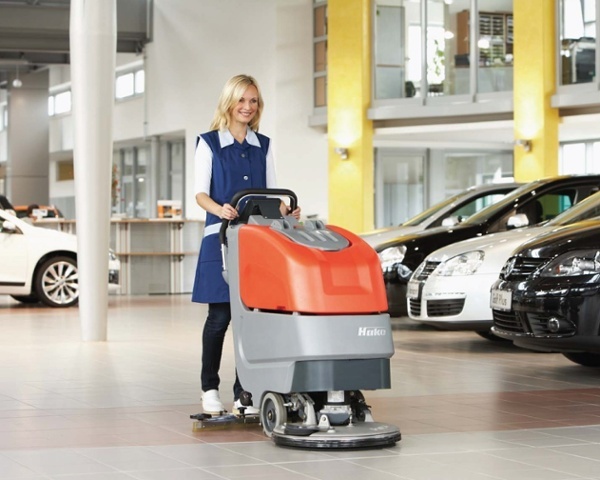 Its special design gives a clear view of the area being cleaned. 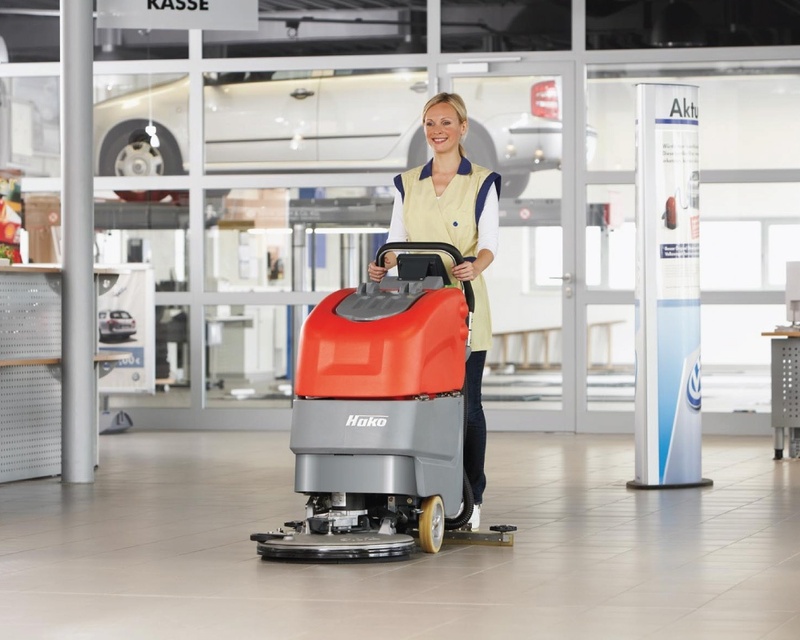 Optimised handle position means relaxed, fatigue-free operation. Operating elements/controls are easy to understand for shorter trainng times. The noise-insulated vacuum fan makes the machine extremely quiet (only 64 dB (A) at the driver's ear). This can be reduced to 61 dB(A) using the "Silent BUtton" that come standard on all Scrubmaster B45CLs.